Regarding the communication and experimentation activities Satean Foundation, since last year until now, contacted about 3300 municipalities, talked with the leaders of the roads and streets and sent the project material and all the necessary information to download and use the App SmartRoadSense. 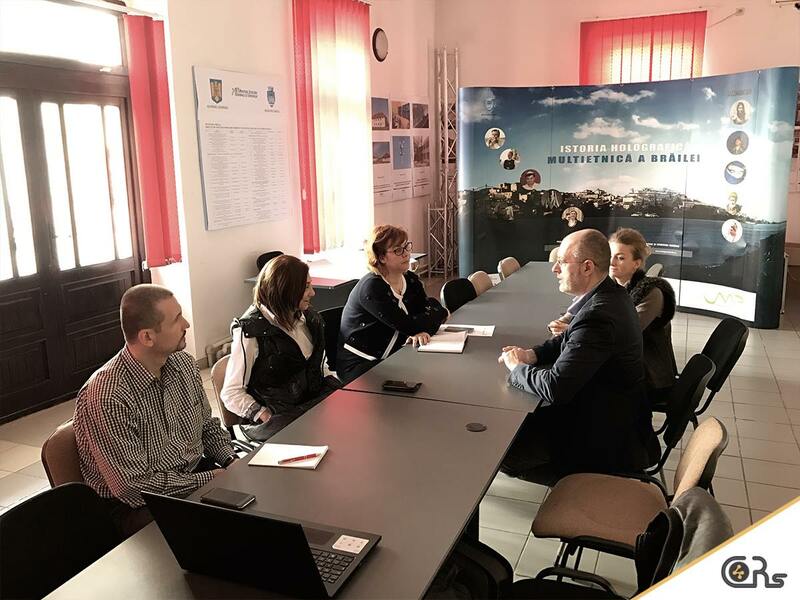 From the beginning of April 2017 Satean Foundation has made a road show and organized daily presentations and round tables with the municipalities from the South East of Romania, especially in Galati and Braila, were we found a strong interest and lots of big and great ideas. In the early months of the project we had already created a short survey with the municipalities, but on our presentations we did our best to inform and raised awareness among them regarding of the importance of our project and the SmartRoadSense Application. What steps have been made? The aim of this activity was to raise awareness of the Romanian municipalities about the benefits of the project and analyze through a survey the current situation in terms of road monitoring and management of the information received about the state of the roads. Such activity, in addition to promoting and stimulating public bodies about the new technology proposed, also aims to establish the fundamental parameters in order to allow the countrywide pilot expected for next year in the Romanian territory. The activity work is organized into 4 main steps devoted to inform and sensibilize the Romanian municipalities about the project and the opportunity provided by the SmartRoadSense app, test their interest in order to develope the pilot project, analyze the tools and methods they are using for the monitoring of roads currently, stimulate their interest through questionnaires and specific questions. 4° STEP – once caught the interest and attention, at the begining of April 2017 we made a road show and organized daily presentations and round tables with the municipalities from the South East of Romania, especially in Galati and Braila, to encourage them to try the application and also to explain them the functionality of the SmartRoadSense application. What bodies / institutions did we meet? Lot of municipalities from Galati, Braila and Ialomita. What feedback did we had? Our project caught the interest of lots of entities.